Revealing the gender of your baby can be exciting for you AND your friends and family. For many parents, it’s the first time you can truly feel a strong connection with your baby, and start to imagine what they’ll be like. It gives you some more insight into your child, and what you have to look forward to. With such exciting news, it’s fun to reveal it in an equally exciting way. 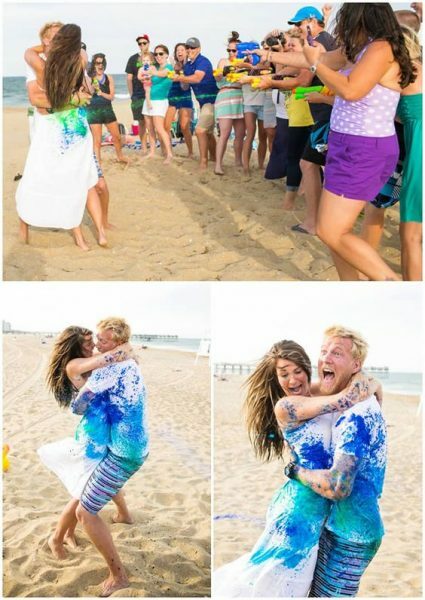 Gender reveals have become way bigger within the past couple of years. Gender reveals can be done at parties, or even as announcements on social media. Regardless of how you choose to celebrate and announce the news, one thing is for sure, there are many unique ways to do it. 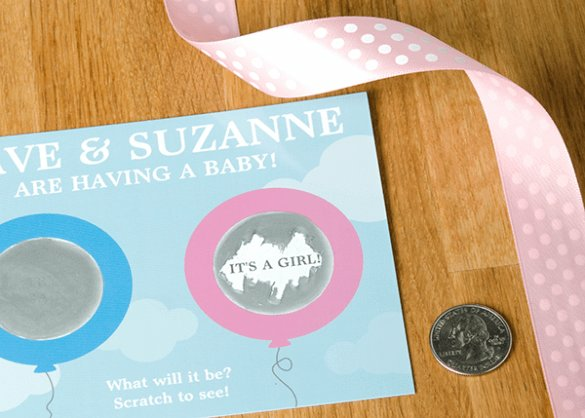 Here are some ideas to reveal your baby’s gender in a fun, unique, and exciting way! We guarantee you’ve never seen these before! Who didn’t love a good water gun fight when they were younger? You can bring that fun back when you reveal your baby’s gender. As the picture shows, not only is it a fun reveal for your party, it’s also a fun reveal for social media. Grab a couple super soakers from the store, and have them filled with the proper color of paint. When it’s time to reveal, have your guests fire away! This is a fun reveal that all your guests can partake in. On the count of three, have your guests drop their heart shaped fizzies into their drink! Champagne is an amazing choice of beverage for this reveal. 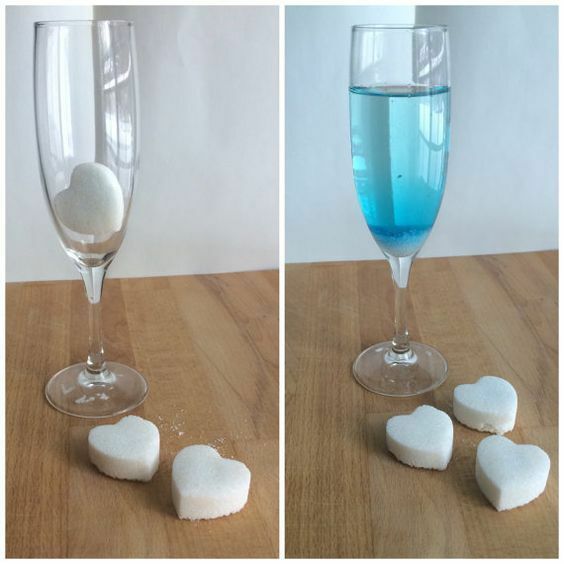 Watch your guest’s faces fill with delight as their glass starts to change colors! And there’s an added bonus — you get to use that colorful drink to toast to the little boy or girl. Water for Mom, of course. This is a fun reveal for a party, that gets all your guests involved. 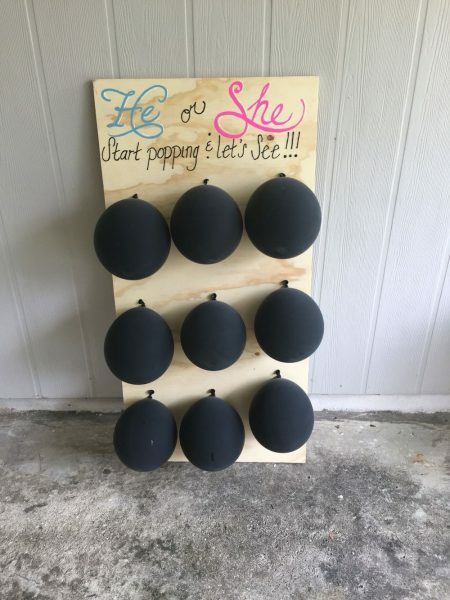 In order to reveal the baby’s gender, guests must take turns throwing darts at the balloons. All but one balloon will be filled with white confetti. The one balloon without white confetti will be filled with blue or pink paint, depending on the gender of your baby. Each guest will be excited to take their turn throwing a dart, so they can be the one to reveal the gender! It’s a fun game with an amazing prize. This is a fun idea that will get your guests vigorously scratching away for the reveal. Hand out these scratchers and penny, and have your guests choose which gender they’ll scratch away at first. The incorrect gender’s scratcher be empty. The correct gender’s scratcher will confirm that it is indeed the gender of the baby! On the count of three, have your guests scratch away! They’ll have fun seeing if they made the right choice! This is a unique twist on the popular silly string reveal! 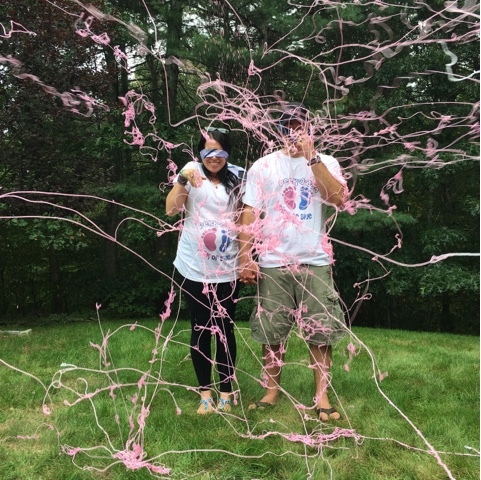 Usually, silly string reveals make it so that the parents and guests get to see the gender at the same time. However, this reveal makes it so that guests get to see the gender first, and react! Then, the parents get to take their blindfolds off to see the reveal after hearing the reactions from their family and close friends. The pictures taken during the reveal, like this one, can also be an interesting gender reveal for your social media platforms after the party! 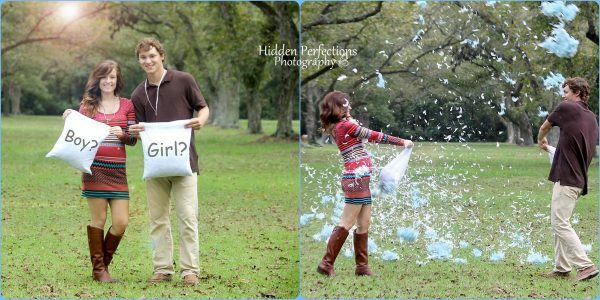 How absolutely adorable is this gender reveal? This is also another idea that would be a great reveal for both a party and social media! Both parents partake in a pillow fight, and when the pillows inevitably break open, the dyed feathers show the gender of the baby! Extremely unique and fun! This is another gender reveal that can be fitting for both a party and social media! However, if you’re doing it at a party, be sure to save the alcoholic drinks for after the reveal! Here’s a reveal that’s perfect for your party guests! Go on a scavenger hunt! 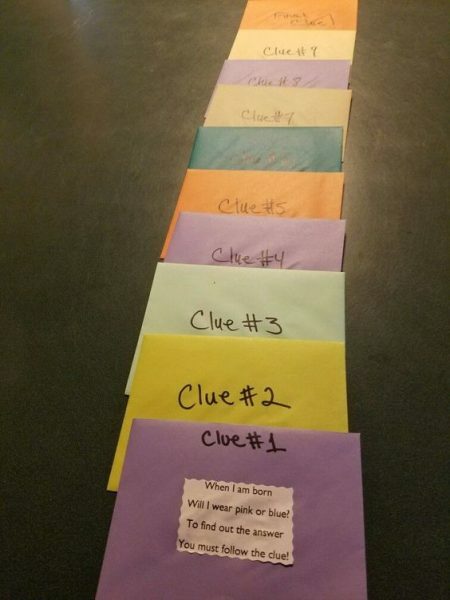 Your guests can help you solve each clue, which will lead you to you finding out the gender. This reveal is sure to impress and entertain your guests! 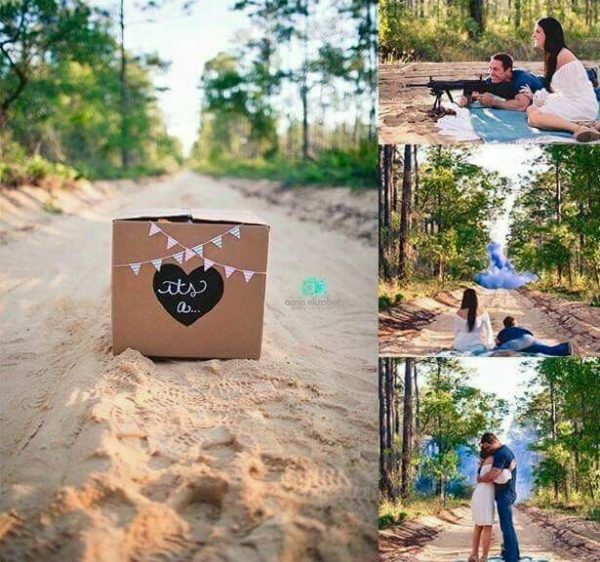 These gender reveals are extremely unique, and are sure to make your reveal stand out from the rest. You’re sure to have an amazing gender reveal party/announcement if you try out any of these ideas! If you still don’t know you baby’s gender, be sure to get a gender prediction on our site! Our dedicated specialists use the theory/theories of your choice to provide you with an insightful gender prediction. Make the wait fun!